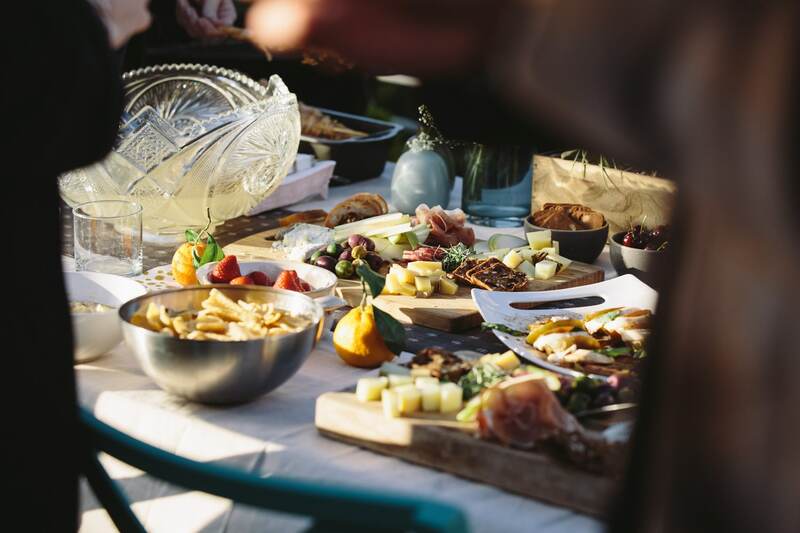 The pairing between wine and food has, for a long time, been regarded as a science, yet at the same time an equally beguiling and almost sacred affair. There are charts and books preaching the Dos and Don’ts, and sommeliers are trained to point out that your Kobe sirloin should be paired with a full-bodied Cabernet Sauvignon, or your lobster with a lean Chablis. Like wine, whisky is now also catching up to be just as appropriate for the fine dining table — a leap from when the malted beverage was deemed too precious to be had with food. It was only a matter of time, however, before the equally complex world of whisky garners the same amount of traction as wine, and so who better to delve into the delicate world of pairing whiskies with food occasions than Diageo Reserve’s Global Gastronomer, Mark Moriarty. The talented and young Mark Moriarty is now Diageo’s Global Gastronomer. Surprisingly, the road to a standout meal with whisky is well-paved and extremely accessible. 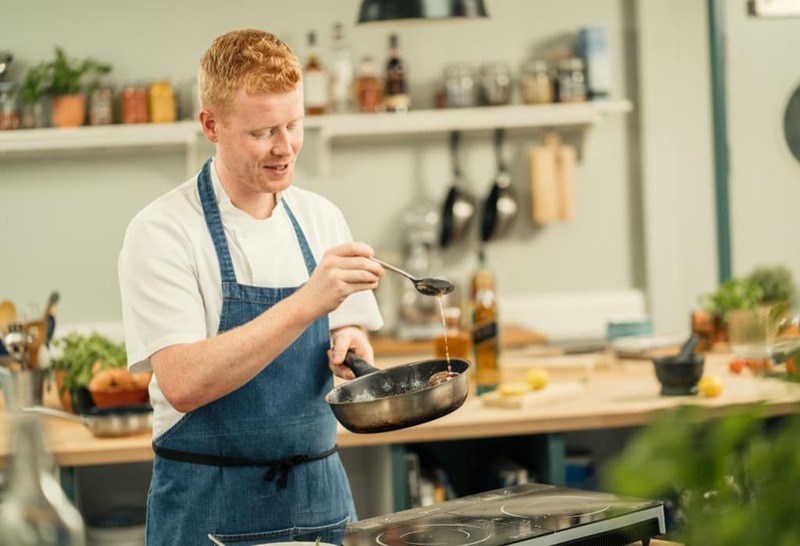 As a San Pellegrino World Young Chef of the Year and Forbes Magazine 30 Under 30 for Innovation in the arts sector, the young Irish chef is well-versed in flavours and the art of dining. His credentials also extend to hosting pop-up dinners all over the world, each a sell-out event that sees him tailoring menus for world-renowned guest lists. Moriarty translates his knowledge as a chef to Diageo’s extensive portfolio, deciphering the varying Scotch flavours that range from light to full-bodied and with a touch of sweetness and citrus, to more complex and bold numbers that come with strong peaty notes. Just as you would with wine, the principle of food and whisky pairing should see the flavours complementing each other to help elevate the overall experience, instead of dominating or overwhelming each other. Here, Moriarty highlights the Johnnie Walker Blue Label and how you can take your dining experience to new heights with it. The most important thing for me is not about pairing the flavours together, but that the food chosen reflects the flavours of Johnnie Walker Blue Label and allows the Scotch to flourish in the glass. Simple things, such as the food temperature, fat content, and seasoning levels can have a profound effect on how the whisky acts on your palate when consumed together. I often enjoy whisky before a meal, or just after a first course, when my palate is heightened and able to detect the more subtle flavours in the glass. It may sound unorthodox, but I feel that mixing is important in allowing a guest to enjoy the unique flavours of Johnnie Walker Blue Label at its best. Take for example, a beautiful piece of roast beef, with some Béarnaise sauce and fries. Any whisky would be overpowered by the richness of the dish if served neat, so I feel that it would be best with some soda water. The fizz from the soda water will bypass the buttery richness of the sauce, allowing the delicious flavours of the whisky to flourish. I’d also recommend drinking the whisky without ice because a cold liquid would allow the richness to take over, again losing the flavours of the whisky. Simple considerations like this can really enhance someone’s dining experience and create an entirely new sensation. I always prefer light and fragrant dishes to enhance the whisky-drinking experience. Sweet and sour dishes are great for bringing out the hidden flavours in the glass, as they heighten your palate’s senses and allow you to taste better. In the case of the Johnnie Walker Blue Label, something as simple as a warm fig salad with citrus dressing and some smoked charcuterie is a perfect way of using food to bring out the flavours of the whisky — from the warm, sweet, caramel figs, to the citrus zest and smoky meat at the end. Foods such as preserved and fresh citrus fruits, toasted nuts, root vegetables (such as turnip or sweet potato), and smoked salmon work great, especially with some crème fraîche. They bring out the rounded, smoky, balanced notes of Johnnie Walker Blue Label. I tend to avoid aggressive, dominant flavours when enjoying any of these stunning whiskies; foods that cause the palate to lose sensation, such as red chili, is a definite no-go. Liquorice is another flavour that grows onto the palate and makes it hard to taste anything else around it. Johnnie Walker Blue Label will always have a place as a digestif — enjoyed at the end of a meal in good company. It is here that the flavours can linger long after the food. However, I personally enjoy it as an aperitif. I love the fact that my palate is awakened and refreshed and can work through all its subtle delights. Something as simple as a freshly shucked oyster with a dash of ponzu, works really well with a fabulous whisky. The creamy and briny taste of the shellfish and rich citrus really bring the whisky to life and is definitely worth a try!